Great for practice or repertoire. 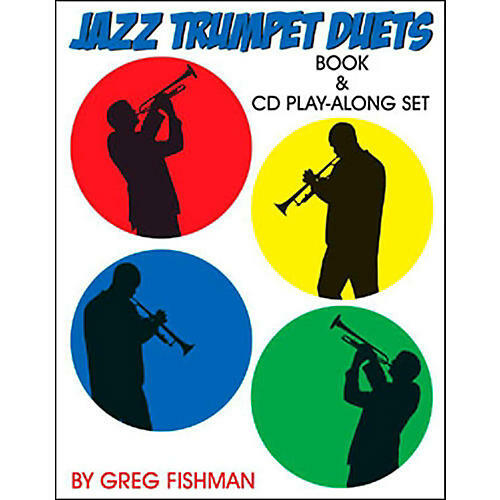 Intermediate to Advanced trumpet players will love the hip and authentic jazz phrases that pour out of these swinging duets. The CD contains forty play-along tracks. There are four tracks for each of the ten duets; a track with the first part only + rhythm section, a track with the second part only +rhythm section, a demo track with both trumpet parts + rhythm section, and a rhythm section only track, with extra choruses for soloing. The piano, bass, drum rhythm section makes it that much more enjoyable. Sure to help with jazz phrasing and harmonic awareness. Add to your repertoire with these duets. Order today.